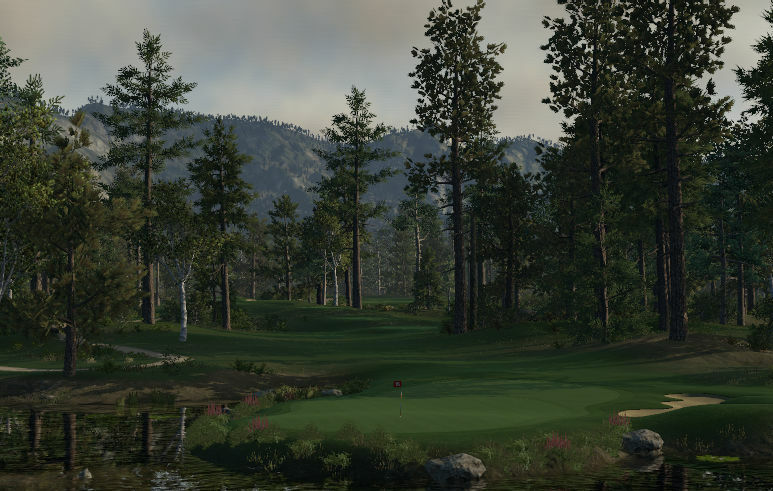 Looking for one of the most scenic and realistic looking courses in the TGCT-database? 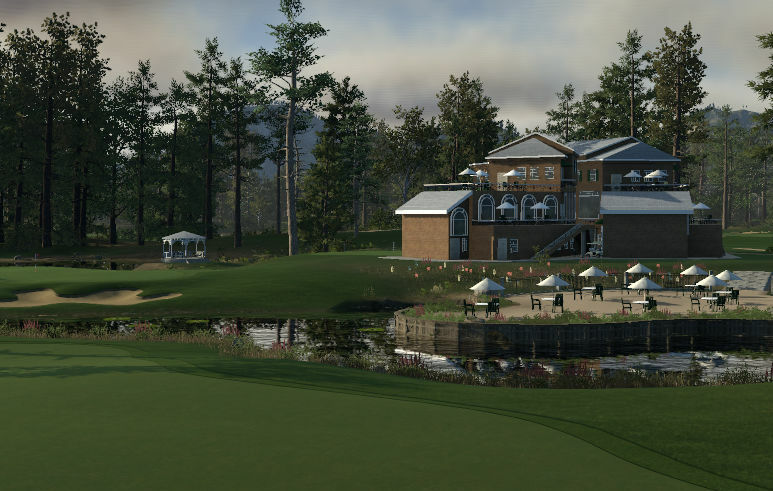 Well, then you absolutely need to play The Capilano Club... another masterpiece by Andre Quenneville (aka Crazycanuck1985), known as one of TGCT's best designers around! Very realistic hole layout, absolut top blending work everywhere, all the water (hazards) around, the lightning... absolutely fantastic! With the update just released, I actually saw car paths for the first time live on a course... and it just adds so much realism to the game/course, even if it doesn't affect gameplay at all. Stunning! I also loved the arrangement of the tee boxes... again, so realistic. To be honest, the course plays rather easy. Fairways and Greens are quiet generous. Some slopes on the greens might challenge you a bit, but the top guys will not have many problems with it I guess (and score very low). If I had to complain about something, I'd say that the bunkers all over the course look quiet similar. They generally look good and are in the correct spots, but I somehow had the feeling they looked the same from Hole #1 to Hole #18. But this may be just my personal way of seeing it. 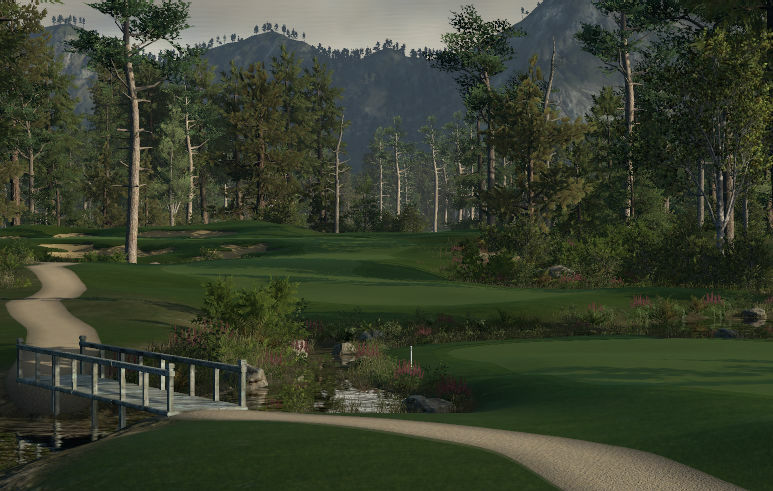 Summary: The Capilano Club is almost a 10/10-course for me, and should be played by any of the lower Tours as soon as possible. For a PGA/EUR-event, it would need a few tweaks I'd say to challenge even the best players in the world. Great job, Andre! Good, as expected. It sounds silly, but this is a bit of a shorter course around 7,000 yards, and while the greens are heavily sloped, they are quite receptive and should allow for scoring opportunities. I scored very nicely on this one, but my concentration was not up for about a 3 hole stretch and I paid for it with two bogeys, so be careful. Like a lot of Andre's courses, the greens get a bit progressively more difficult throughout the round. Despite Boreal being perhaps the most used theme in the game, I enjoyed the look of this one a lot, and it appeared more green than the usual brownish rough in Boreal. Then again, I think the Tropical textures loaded instead, so my round was even more green than usual.